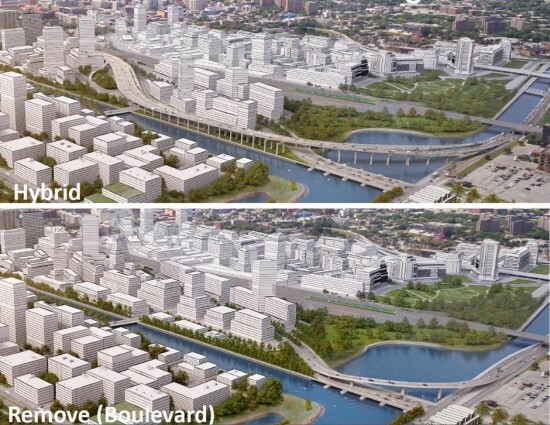 The Toronto City Council will vote on June 21 on whether to remove a one-mile elevated section of the prominent but crumbling Gardiner East Expressway in the city’s downtown. Mayor John Tory wants to rebuild the road, but his staff, including chief city planner Jennifer Keesmaat, are advocating for removing the highway and replacing it with a pedestrian-friendly boulevard. It is unclear what the 45-member council will do. 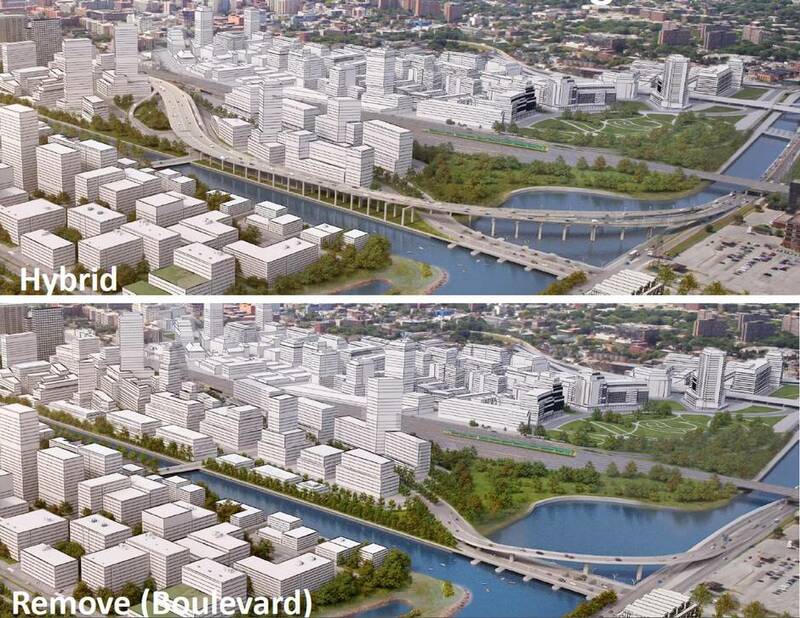 Proponents of the teardown want to build a widened road along the city’s waterfront. They say that the mayor is wrong about traffic, as evidenced by Toronto’s successful removal of another section and put in a similar at-grade road. It would compliment the recent plans for the nearby Harbour Landing waterfront, designed by West 8. According to polls, 45 percent of residents want to tear down the road, while 33 want to save it. Advocates of the at-grade option say that it will be 96 million dollars cheaper to build, and will save $458 million over the course of 100 years to lower maintenance costs. For the hybrid option, upwards of $100 million would need to be raised just to complete the project. Advocates of removal say that the impacts of their plan are being overhyped. According to experts, only 3 percent of commuters into the core of Toronto use the road. They say that the hybrid proposal would have similar effects on traffic as removal, because in both cases people would find other ways to go, travel at different times, or just avoid the area altogether. Construction on the project would start in 2018.